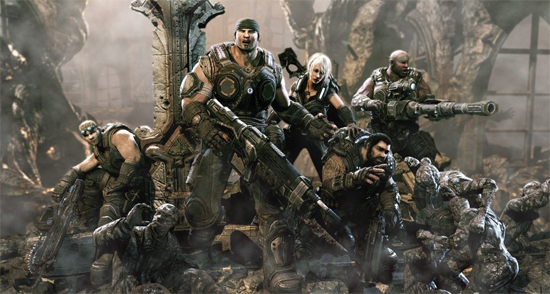 GAME NEWS: Check out the opening Sequence to Epic's 'GEARS OF WAR 3'! Epic have celebrated the release of Gears of War 3 going gold, by revealing the opening cinematic for the game called "We're All Stranded". 'Anya' gives us a voice over as she explains what has happened since Gears of War 2. The release includes a four player co-op campaign and introduces for the first time three playable female characters into the franchise, Samantha Byrne, Anya Stroud, & Bernadette Mataki. Hit the jump to check out the sequence. I'm reading: GAME NEWS: Check out the opening Sequence to Epic's 'GEARS OF WAR 3'!Tweet this!